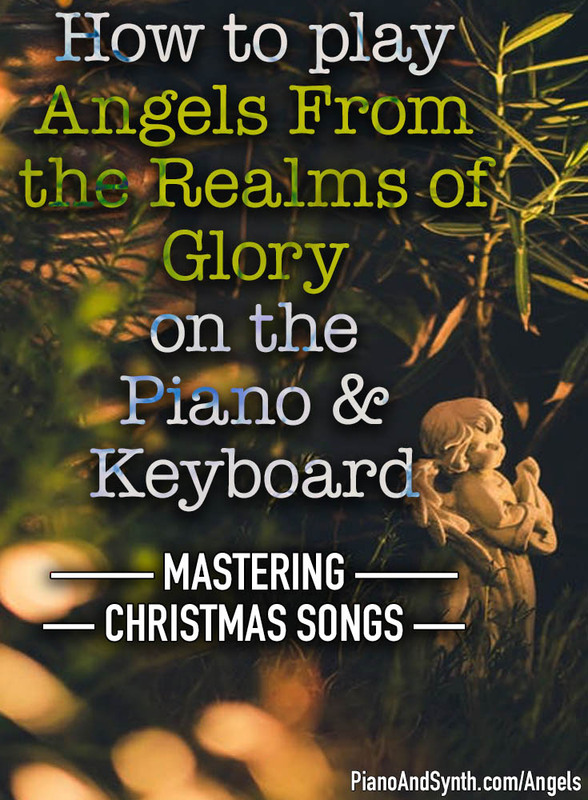 As part of our mastering Christmas carols on piano and keyboard series, here’s our guide to playing Angels From The Realms Of Glory. 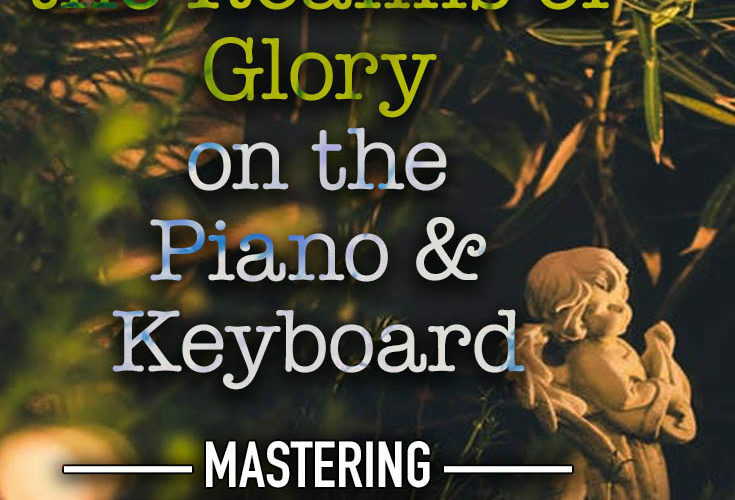 Angels From The Realms of Glory is written here in C major, which is a comfortable key for most people to sing it in, and is in 4/4 time — that is there are four beats in every measure (bar). 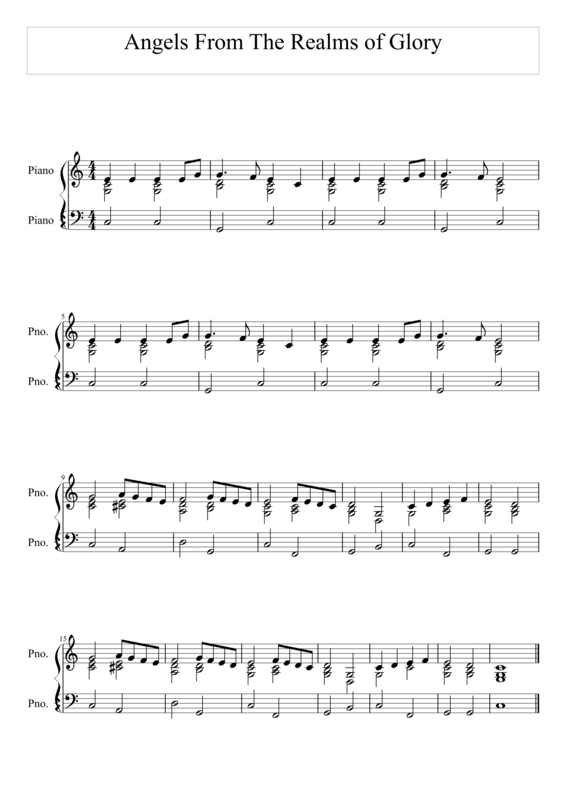 Note that this melody is one fairly commonly used in the United Kingdom. I am aware that there are other melodies available for this carol as well as the similar “Angels We Have Heard On High”. This is the version that I have most commonly sung in British churches. Note that bars 1-4 and 5-8 have the same melody. Also bars 9-14 and 15-20 are identical. Here’s how to add single bass notes to add some harmony. Most notes are half notes (minims) with some whole notes (semibreves). Here’s a lead sheet for the carol, featuring lyrics, melody line and simple chords. I hope you find this guide useful for helping you to play Angels From The Realms of Glory.